Every single day, I get a lot of questions, and many of them are the same. I figured it would be a good idea to address these commonly asked questions on my website! If the below hasn’t answered your question, feel free to ask! 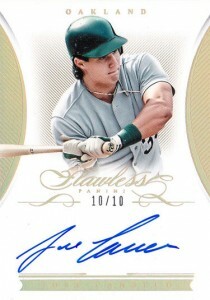 Are you still collecting Jose Canseco baseball cards? No more meaningless maildays for me! What exactly are you collecting now? Do you prefer your toilet paper over or under? Ehh, I’m not exactly sure what this has to do with baseball cards, but while aesthetically speaking, under is more pleasing to the eye, over is best from a functionality perspective. The invention schematics even call for it being over. I thought you stopped collecting. Didn’t God tell you to stop? Then why did you stop Supercollecting Canseco? In mid 2018, I was making plans to acquire a huge collection when I felt that God didn’t want me making the purchase. There was no thundering voice from the clouds. It was just a feeling based upon how the Bible tells us to live our lives, and how I know it would have consumed me even more so than supercollecting already did. Shortly thereafter, I thought to myself “If I’m not getting this collection, what am I still doing collecting? 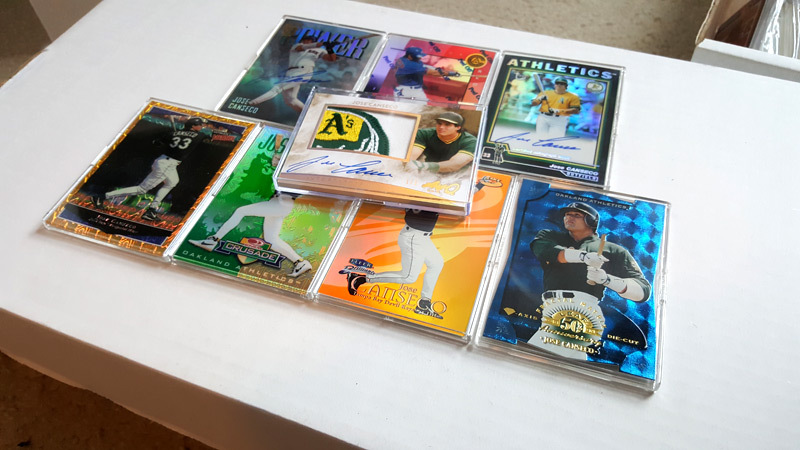 I’ve already accomplished pretty much everything I have wanted.” In that moment, I decided to retire from supercollecting Canseco and sell my collection. It was never about lost passion; I simply reached the “top of the mountain” so to speak, for what I wanted to do. The next day, I felt uneasy about my decision to sell, and prayed to God asking Him for confirmation that this was the right thing to do. A couple hours later, we were sitting in church, and our pastor mentioned something along the lines of perhaps God calling some of the congregation to sell their collections if they were too wrapped up into it. The timing was wildly bizarre and was great to hear for confirmation! Some people have suggested that perhaps Holly pulled our pastor aside and asked him to say something. Rest assured that is 100% not what happened. If you would like to read more about my decision to retire, you can click here! Absolutely not! Looking back, I have a much clearer head about it all. I was simply too wrapped up into collecting cards. It took way too much time, money, brainpower, etc. As a follower of Jesus, my mission on earth is not to collect cards, but rather be passionate about following Jesus, and obeying Him. I want to glorify God in all my words and actions, help others and point them to Him as well. I fear that my passion for supercollecting simply went overboard. Today, I enjoy a much more relaxed involvement in the hobby. I’m not constantly worrying about missing a card I don’t yet have. I couldn’t be happier! A lot of things. Namely: beans, when the couch cushions aren’t pushed all the way in, alarm clocks, traffic, Ashton Kutcher, when people call me buddy…the list goes on. No, buddy. I meant what do you dislike in the hobby? You know it doesn’t bother me when people call me buddy after I publicly state I don’t like being called buddy, right? Anywho, the list isn’t terribly long, but namely when people don’t follow through on deals, when they lie about me behind my back, collectors who are disrespectful or deceitful, scammers, trolls, shock-jock wannabes, rude dealers, pot-stirrers and Ashton Kutcher. 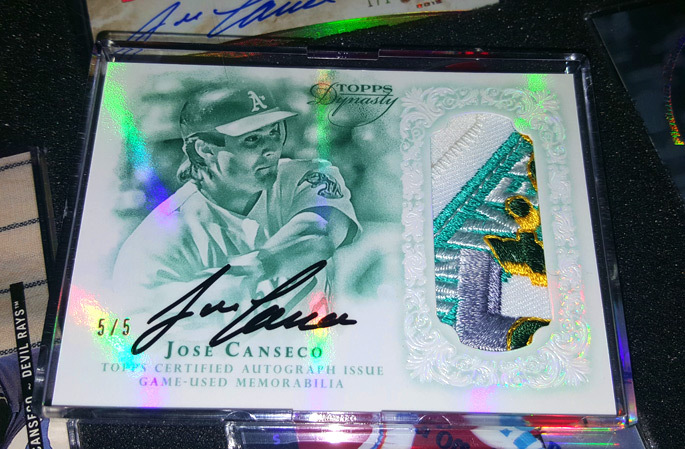 How is the selling of your Canseco collection going? Did you lose money? Wouldn’t it have been better to have just kept the cards you wanted in the first place? This is such an incredibly pretty card, right? When I first picked it up, it didn’t mean much to me. 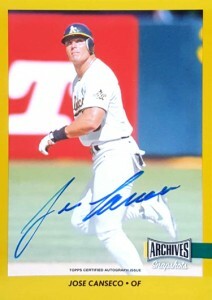 It was purchased with various other rare Canseco cards. Yeah, I thought it was cool, but it wasn’t until I sold it that I realized how special of a card it was. I remember looking at it on eBay thinking “Hmmm. That’s a much nicer card than I remember. Maybe I should pick that back up!” Just like that, it was sold. (Insert much weeping and gnashing of teeth here.) I asked the seller to put me in touch with the buyer, and made a very generous offer. We couldn’t make a deal. Apparently, the card exchanged hands a THIRD time, as it was up for sale via auction from another seller! I put my best bid in, and much to my surprise, I ended up winning it for about half of my offer to the previous owner! It is what I like to call a boomerang card, because it went all over the country before finally coming back to me. To think that I purchased this card from a former Supercollector, which stayed in my box unnoticed for years, was sold to three different sellers and was able to make its way back to my collection, adds to the excitement and appreciation I have for this card. Had I just kept it, none of that excitement would have ever happened. I have story after story to tell of many cards like this as well! 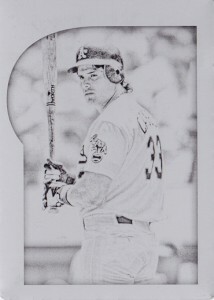 Should I still tag you / let you know about any rare Canseco cards I see? I heard a rumor that you dip french fries in mayonnaise. Is that true? Due to the small community we have, I prepared myself to sell no more than 100 books throughout the life of the book itself. I’m happy to report that this figure was surpassed inside of two weeks! While most of my sales are through Amazon, a good percentage of book sales go directly through me, due to requests for autographed copies. I have sold out of each previous shipment fairly quickly. Is it your belief that great literature of the twentieth century lack protagonists who qualify as heroes? Are you now rich after selling your books? Ha! No. While my book sells typically for $14.95, the actual printing and production of them eat up a LOT of that. It is important to note that I never set out to write a book to make money. It was written because I have always wanted to write a book, and baseball cards are an extreme passion of mine. If the main goal of writing a book was to make money, believe me – I would not have chosen to write about baseball cards. 🙂 The most exciting thing to me is all of the glowing reviews I have been given – people actually love it! While I am happy it is selling well, I am MUCH more satisfied with the feedback I have been receiving. How can I obtain an autographed copy of your book? If you have any other question for me, feel free to email me at tanmanbaseballfan@gmail.com or hit me up on Twitter @tanmanbbfan.